Scott’s been working on Batman since late 2010, when he began his story with a tale of secret underground auctions, where wealthy people bid on the weapons and contraband of villains, which can be seen as a precursor to the current story. It was the 2nd story, however, that really grabbed attention. The story revolves around James Gordon Jr., Commissioner Gordon’s son. James Jr. is most known for being the baby that takes the tumble over the bridge in Batman: Year One. The event clearly had an impact on young James, as he grew up mentally unbalanced. 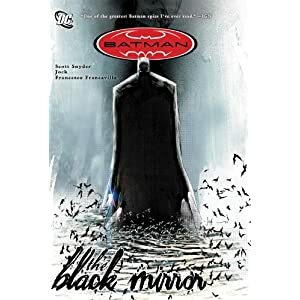 This 2nd story in Detective Comics eventually became the main story and it is easily one of the best in recent memory, and the Black Mirror hardcover collects both stories. After Snyder concluded the James Jr. story, the DC Universe relaunched, and he took over the Batman series. The new story has involved Bruce Wayne deciding to be more proactive with his city. Bruce announces that he’s funding a revitalization project for Gotham, which includes new buildings and programs that will enrich the city. It seems like Bruce is finally turning tragedy to triumph, and letting his non-Batman self move on… The Court of Owls doesn’t approve. The Court of Owls is like the Illuminati of Gotham City. They’ve been secretly running the city for years, using their Talon as their assassin. They operate in secret, to the point that everyday Gotham citizens treat them like a myth. Even Bruce himself is unaware of these people, until they decide that his project is not to their liking. They strike at Bruce hard, and it seems like he’s rocked to his core by all of this. 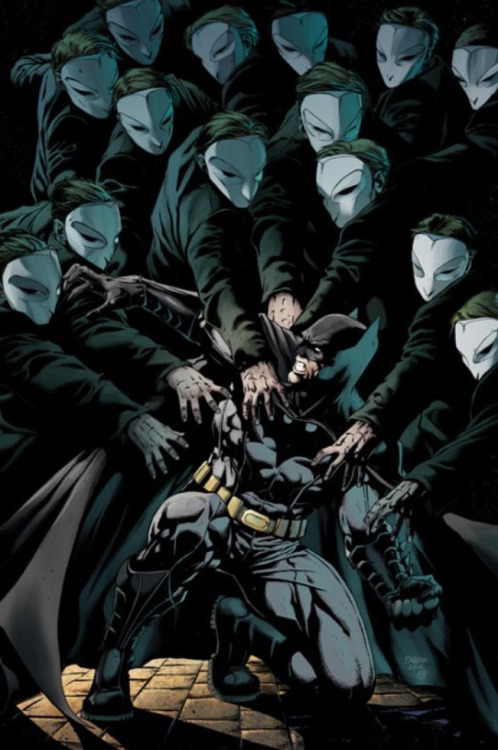 He barely escapes the Court, and they in turn send out every Talon they have… because it’s time for the Court of Owls to make itself known! 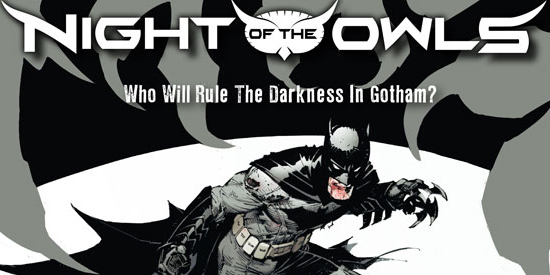 The opening salvo of Night of the Owls has already been fired, with Nightwing #8 and Batman #8. Check those out, and check out the rest of the stories in May!